Slate Takes was at the launch of the Infiniti Q50, which arrived in style! The footage from our on-site live projection was also on Bloomberg (at 0:59, again at 1:24, and 2:06)! Jones Lang Lasalle held their IDC conference in Hong Kong and we were tasked to not only provide live feed coverage, but to also capture the entire two-day event and edit the 30+ presentations in their entirety. Posted 6 years, 7 months ago. 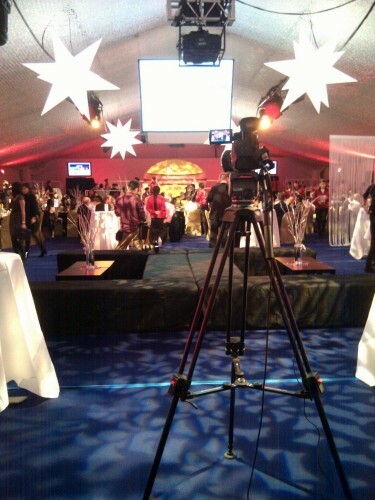 On June 16, 2011, Ironmonger Events hired Slate Takes to provide live feed coverage of the Help For Heroes Annual Gala Dinner at the new Ritz Carlton Hotel Grand Ballroom. Guest speakers included Sir Ranulph Fiennes and Andy McNab. For more photos of the event, visit this page. 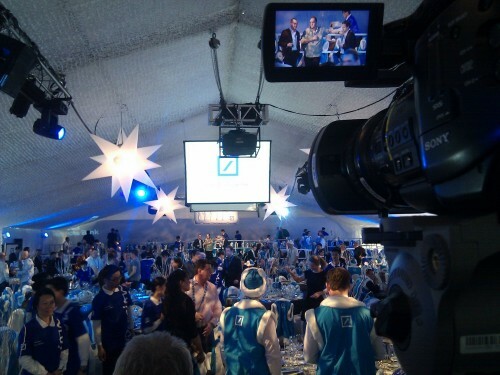 On March 25, 2011, Ironmonger Events hired Slate Takes to provide live feed coverage of the Hong Kong Rugby Sevens Long Lunch, sponsored by Deustche Bank. For more photos of the event, visit this page. Posted 8 years, 1 month ago. 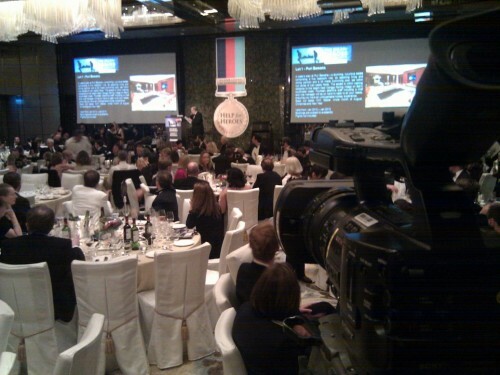 On March 23, 2011, Ironmonger Events hired Slate Takes to provide live feed coverage of the DHL-sponsored Irish Chamber of Commerce Sports Personality Dinner, during the Hong Kong Rugby Sevens. For more photos of the event, visit this page.